For those of you lucky enough to be in the northern hemisphere, spring has arrived. The snow may have receded, but there’s an avalanche of cool new gear hitting the shelves. We’ve picked out a few items worthy of your consideration, from big brands to unknown upstarts. This time we’re taking a top-to-toe approach, from helmets to boots. If there’s anything you think we’ve missed, let us know in the comments. 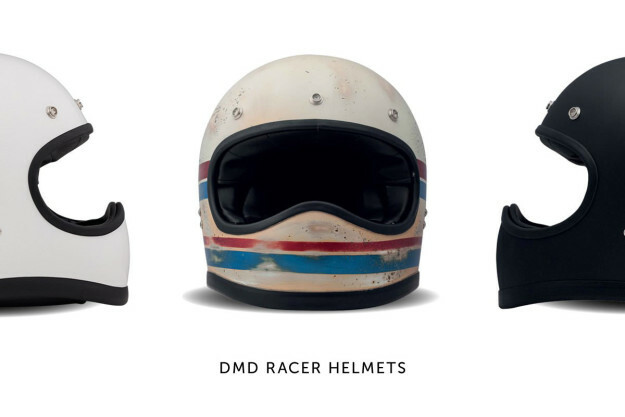 DMD Racer Most modern motocross helmets just don’t have the allure of the vintage designs. So the Italian maker DMD has recreated the classic 70s-style lid using modern technology—with a carbon/Kevlar shell that meets the European ECE 22.05 safety standard. 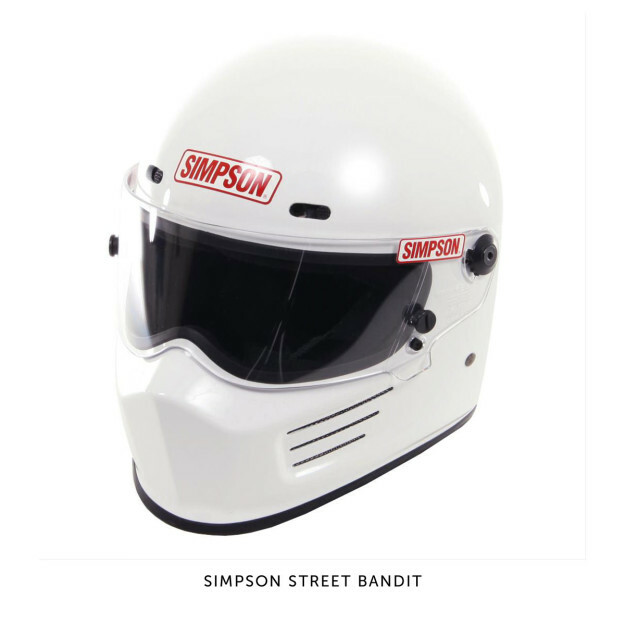 Simpson Street Bandit The Bandit is one of those iconic helmet designs that everyone recognizes: It’s the two-wheeled equivalent of the Simpson Diamondback worn by The Stig in Top Gear. Safety has never been the Bandit’s strong point though—until now. The helmet has been revamped and re-released, and now meets the Snell M2010 standard as well as DOT. Spidi Fandango The Italians are cottoning on to the revival of classic motorcycle style. We’ve seen Dainese dip a toe in the waters with the 36060 range, and Alpinestars has just announced its Oscar collection. 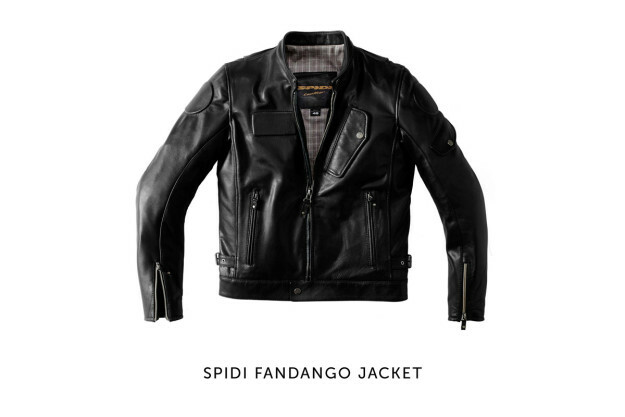 Now it’s the turn of Spidi: the $699 Fandango jacket is a collaboration with our friends at the famous French magazine Cafe Racer. 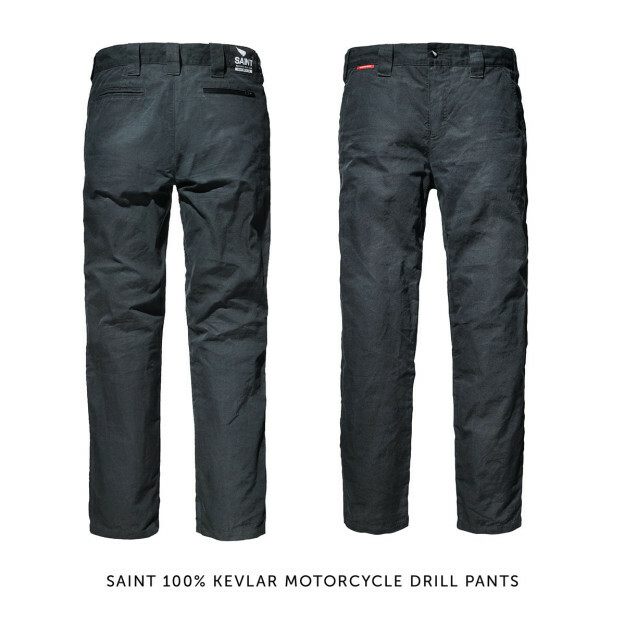 Saint 100% Kevlar Drills Saint is a new arrival on the apparel scene that shows huge promise. 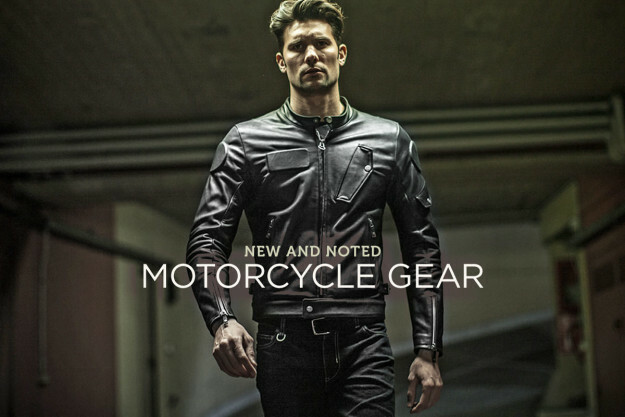 Their core product is a $450, 100% Kevlar drill pant with 360° tensile strength and great looks. These are pants you can wear all day, but they also have significant burst and slide abrasion resistance. ICON 1000 Prep Boots Icon’s tough, retro-styled Elsinore boots have been a smash hit for the Portland, Oregon based company. The sequel has now arrived, in the form of the more subdued but equally high performance Prep boot. Icon describes the $270 boots as “Historically significant silhouettes re-imagined with modern materials and construction techniques. And then given a personal twist of moto-apocalyptic 80s fever dreams.” And we can’t do better than that. What if T.E. Lawrence rode a BMW R100GS?